Salem Paint Company has been serving the Salem area since 1962 and over the years has developed a reputation for having the products and experience to help you through all your painting projects. 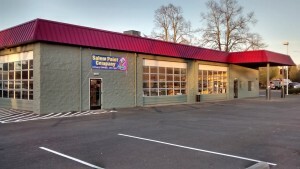 Located at 686 Commercial St NE, Salem Paint Company is Salem’s oldest paint store. 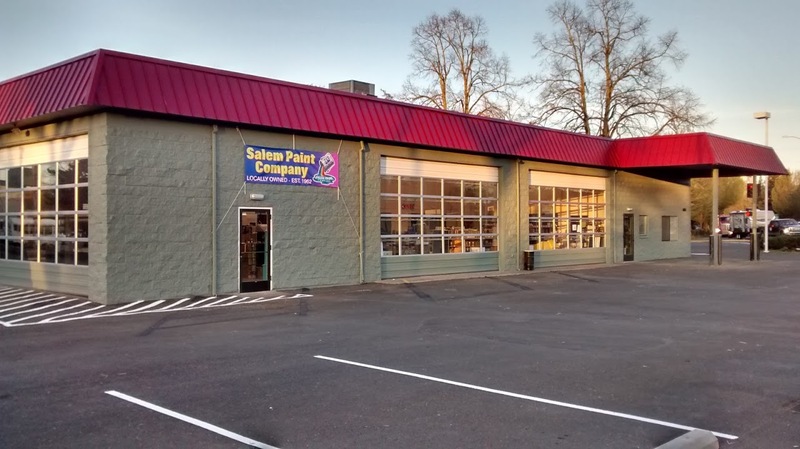 Salem Paint Company is the only locally owned paint supply store in Salem and it’s where you can “Ask the Paint Experts“ for advice on all your painting projects. The staff at Salem Paint Company has an average of over ten years experience in the paint industry. This level of experience and expertise partnered with the personal attention that we provide assures you that your paint project will be done right the first time. At Salem Paint Company we carry the finest products. We recommend paints from PPG Paints and California Paints; exterior stains from Messmers, Storm System and Proluxe; interior stains and finishes from Old Masters and SamaN; as well as concrete floor coatings from Pittsburgh Paint High Performance Coatings and California Products. At Salem Paint Company we have the experience and knowledge to help you choose the best products for your job. Salem Paint Company has a large selection of Wallpaper Books from Brewster Wallcoverings, and York Wallcoverings in the store for you to shop from. Salem Paint Company is a member of ALLPRO which gives us the ability to buy tools and sundries at price levels that keep us competitive with the big box stores. We invite you to come in and compare. “Ask the Paint Experts” is not just a slogan at the Salem Paint Company, it’s who we are. If you have one of the rare painting questions that we can’t answer we will do the research to find the answer for you. We look forward to serving you and providing you with the best paint products and customer service that you can find in Salem.